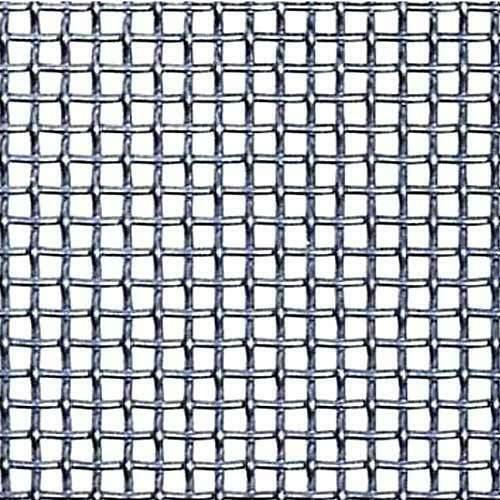 Five Heddle Weave wire cloth is most commonly used in those applications where pressure and vacuum filters as well as filter candles are involved as it has a light weight structure. 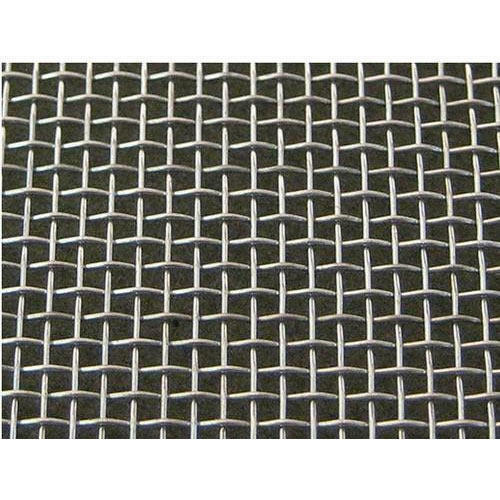 Five Heddle Weave wire cloth is most commonly used in those applications where pressure and vacuum filters, as well as filter candles, are involved as it has a lightweight structure. Guar Gum Wire Mesh is widely used in industries such as pharmaceutical and food for sieving and filtering impurities from guar gum. It is offered in different dimensions, wire diameters and shapes to meet specific requirements of industries. Woven Wire Cloth is the most commonly used screen in industries for various applications such as filtering, sieving, crushing and many others. It is available in different metal grades, mesh openings, aperture and wire diameters to meet specific requirements of industrial applications. 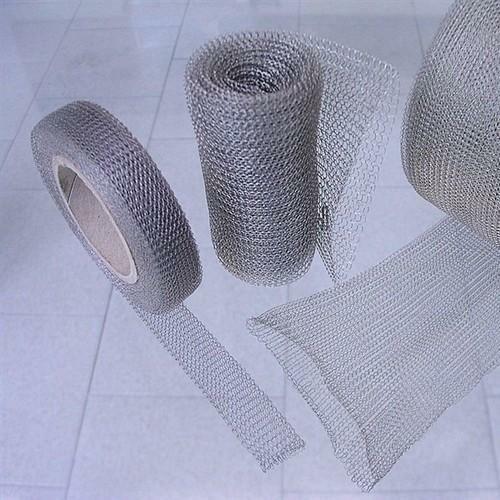 Stainless Steel Wirenetting is widely popular as chicken mesh or poultry mesh. 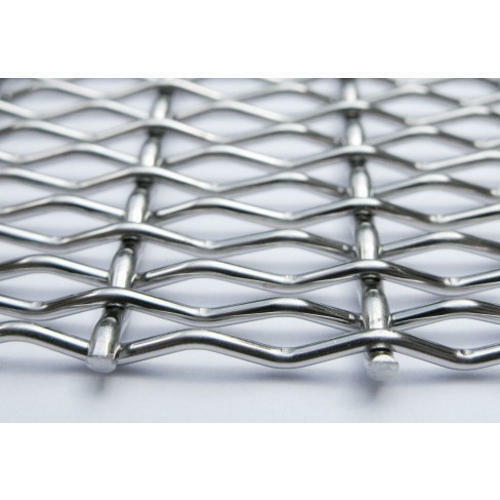 Wisely made by using low carbon iron wire, this mesh is highly appreciated for its firm structure and flat surface. Widely used in agricultural and construction industry as reinforcement and fencing, this is also applicable as protective fencing in poultry cage, fishing, gardens and children playground. Size - from 1/2" to 2"
Nickel Wire Mesh is widely used in chemical, acid and petrochemical industry. This is highly preferred screen for the storage and distribution of phenol in order to ensure immunity from any for of attack for absolute product purity. “HMB” Make copper woven wire mesh is also called shielding net. The chemical component is 99.9% copper. The feature of the copper is non-magnetic. So it can be used as the shielding net. 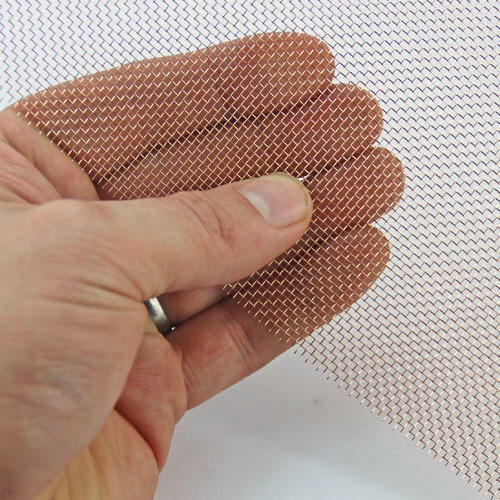 The aperture size of the copper woven wire cloth is 5 mesh to 280 mesh. Aperture size: 5 mesh to 280 mesh. For the electronic display is 10 - 60 mesh. Cloth width: 0.914m, 1m, 1.5m. Cloth length: commonly is 30m. Non- magnetic, wear resistance and good sound insulation. It can be used as the shielding Screen in the cable circuits, laboratories. The copper wire Mesh can be used as the in the electronic devices, power sector, aerospace, information industry, military installations. The copper wire cloth can be used in the building walls to insulation noise. The copper wire mesh can be used in the electronic display to filtering the electron beam. 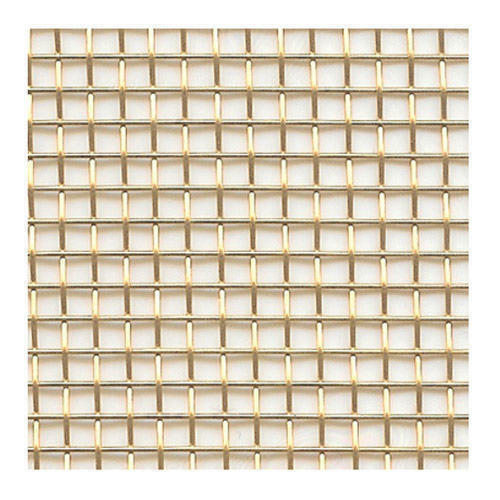 “HMB” Make Brass woven wire cloth is made of 65% copper and 35% zinc.Brass Woven Wiremesh is made of phosphor bronze wire in the wrap, which has outstanding tension stress, bending force, wear resistance and expansion force and brass wire in the weft, which has proper tension stress and extensibility. Mesh refers to the wire quantity per inch. The fewer mesh, the bigger aperture size and better water permeability. Resistance to the acid and alkali. 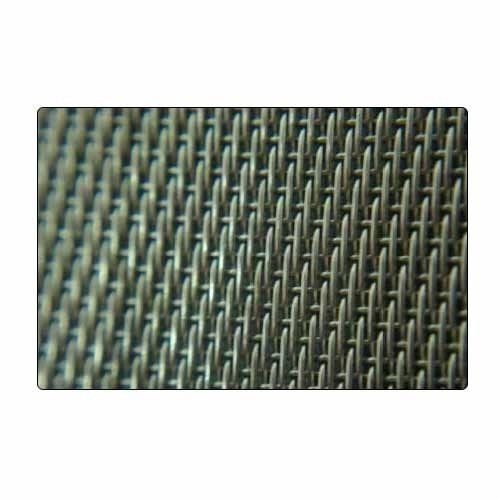 The brass woven wire cloth can be used in the papermaking industries for dewatering. Aperture size: 1 mesh to 200 mesh. Newsprint and printing paper with 60 to 70 mesh and the typing paper with the 90 to 100 mesh. 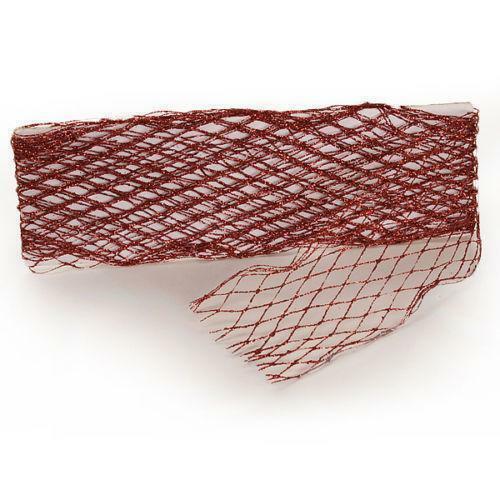 Red Copper Wire Mesh is widely used in highly secured areas for shielding the security systems from outside radiations. Available in different mesh sizes, wire diameters, apertures and weight, this wire mesh is highly resistant to electrical sparking. “HMB” Make The chemical component of the phosphor bronze woven wire cloth is 85 - 90% copper and 10 - 15% tin. Phosphor bronze has good ductility, wear resistance and acid and alkali resistance. 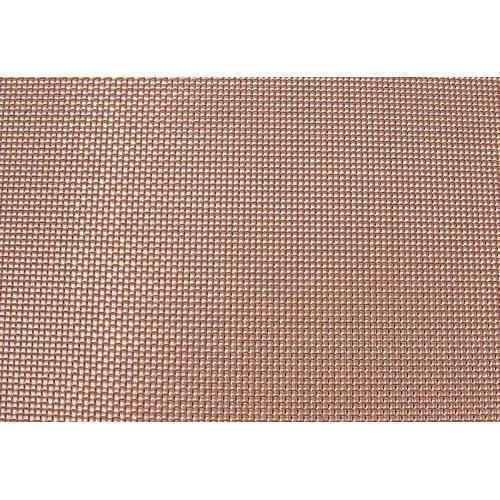 The aperture size of the phosphor bronze woven wire cloth is commonly 8 mesh to 400 mesh. Aperture size: 8 mesh to 400 mesh. Coarse wire diameter crimped wire mesh is available. Weaving method: plain weave and twill weave.